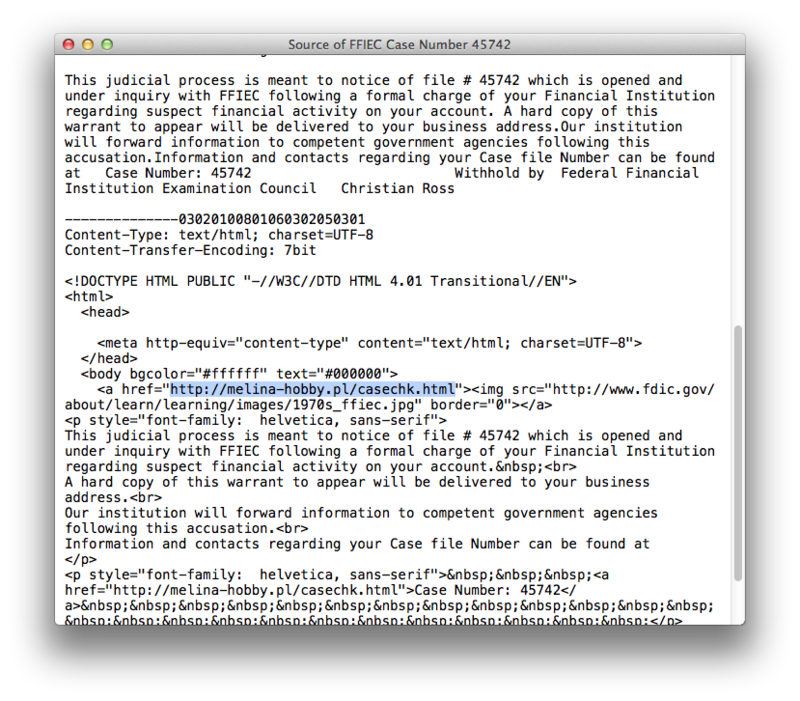 I am continuously getting SPAM phishing emails and I thought I would quickly demonstrate how to check the validity of the message. This tutorial is for Apple Mail, but the concept is the same for other mail clients. 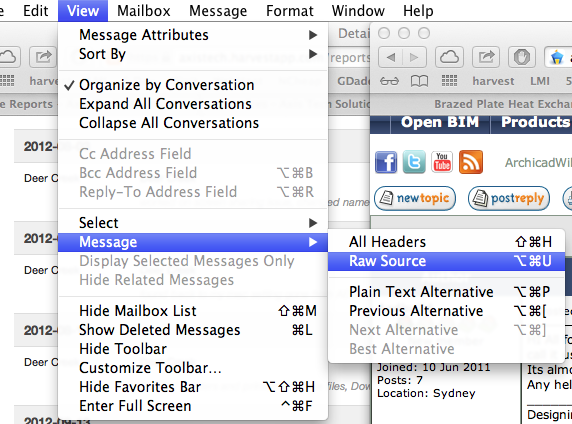 When you have the message open in Mail, go to the View Menu, Message, then select “Raw Source”. This will open up a window showing you the “code” of the message. It looks bad, but in reality it’s not. When you look through the code, you can figure out where links go. In this case the “Case Number 45742” is a link that leads to an off-shore address. As you can see the URL for the link has nothing to do with the message. I didn’t click the link, but my guess is it will take you to a site that will ask you for all kinds of personal and financial information, or just install a virus on your computer. Just be wise, and trust nobody (accept your trusty computer guy of course)! 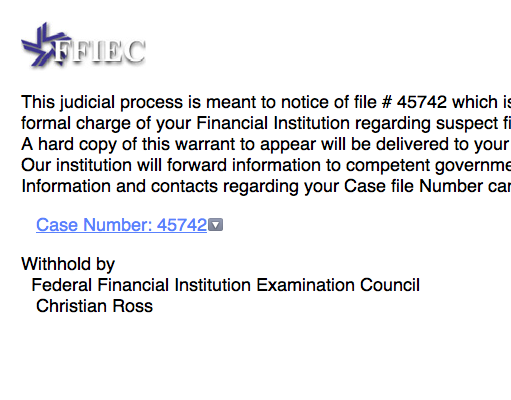 If you get an email that looks like its from a financial institution that you do business with, don’t click any links, just pick up the phone and call the institution to verify the email. Now this is just poor execution. Where is the pride in the work?